וְתִמְנֶה הַצְבָּעָתִי כְּאִלוּ קִיָּמְתִי הַכָּתוּב הַזֶה בְּכׇל עָצְמָתִי. and may You count my vote as if I had fulfilled this verse with all my power. לְהַגֵּן וּלְבָל תַשְׁחִית אָרֶץ וּמְלוֹאָהּ. Rabbi Seidenberg’s Prayer for Voting was initially composed for the United States presidential election in 2008 and published at neohasid.org, here. This prayer is broadly speaking a prayer that we learn to work together to create a better future, and it incorporates a pledge to do one thing for healing the world, for tikkun olam, that will make this future a reality. It’s not a prayer about winning or getting other people to see things our way, like some of the others I’ve seen. Whomever we support (I am supporting Obama), we need to pray for strength for the next president, and for the whole country, to face what will be challenging times. The 2010 election comes right before the end date of Noah’s flood. This common synchronicity inspired me in 2006 to focus the voting prayer on the covenant after the flood, which was a covenant with all creation. Each person has their own way of expressing the essence of tikkun olam, so please change those lines according to your own vision of a perfected world. What is important is that we need both to vote and to take action to make our prayers a reality. What can you personally commit to doing? Pick something you can fulfill before the spring, and incorporate it into your prayer. If you can’t pray in a voting booth, where can you pray? And where would you need more to pray? This prayer is not about casting a winning vote or supporting a particular party. It’s a prayer that peace may come through whomever is elected, on behalf of the whole planet. It’s also more than that: you, the pray-er, are invited to add your own pledge to do a good deed that embodies the ideals you are praying for and voting for, to live your prayer. The pledge is based on the Jewish custom of pledging to give tsedakah, charity, when going up to the Torah. What is your pledge on the occasion of “going up” to the voting booth? The two lines following this pledge express the intention to act in the highest interests of all living beings. Only acts taken in this spirit can become truly “established.” Please modify these lines to express in your own words why you act. 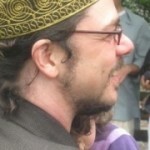 The Open Siddur Project is honored to be sharing new liturgies and translations by Rabbi David Seidenberg of neohasid.org. If you appreciate Rabbi Seidenberg’s work, please encourage him with a contribution and/or by joining his mailing list. All of his liturgies and translations are being thoughtfully shared with a CC BY-SA license. 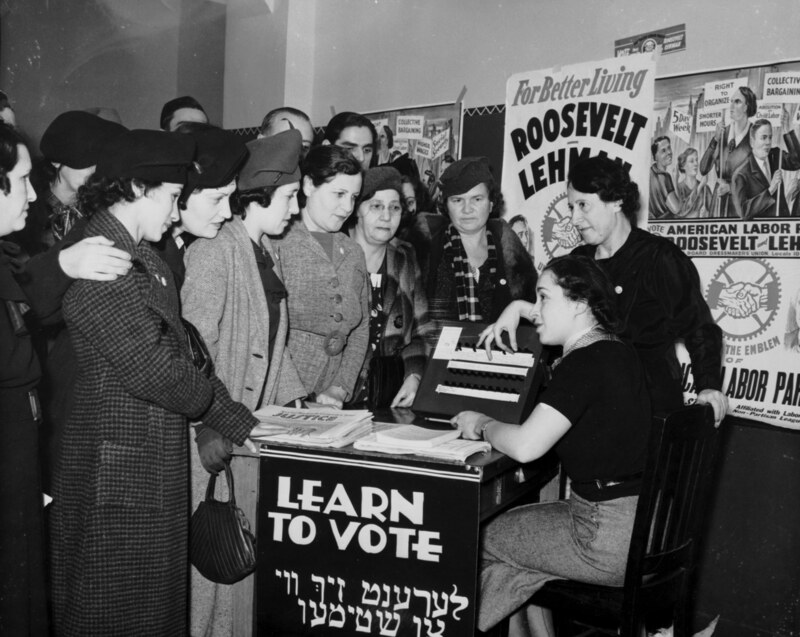 “A Prayer for Voting, by Rabbi David Seidenberg (neohasid.org)” is shared by David Seidenberg with a Creative Commons Attribution-ShareAlike 4.0 International copyleft license. 2010-11-14 at 11:15 pm · Reply. Although by posting this prayer on November the 14th we will have missed the elections in the United States, we are hopeful that this kavanah will be available just in time for future election cycles in the United States and anywhere else in the world democratic elections take place. 2011-01-04 at 10:54 pm · Reply.